This craft is so easy to make and evokes the beauty of Genie Bay in Zahramay Falls! Genie Beach is one of Shine’s favorite places. It’s there where she can experience new challenges and adventures. 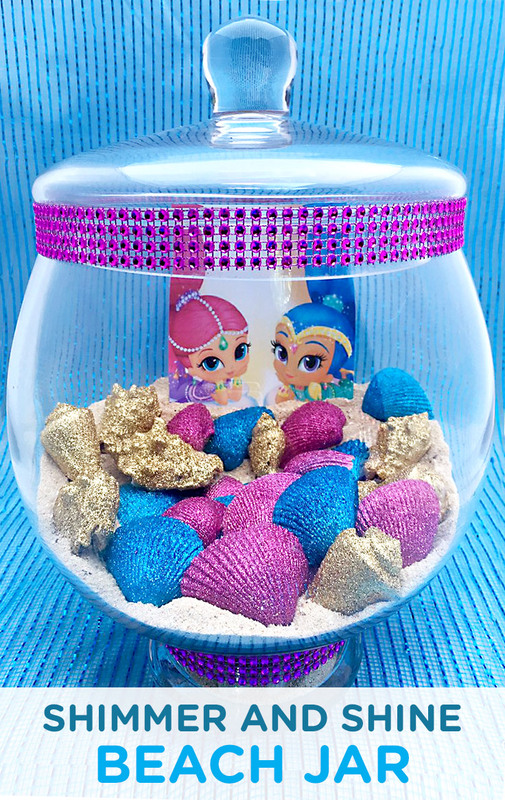 Create a glittery beach, just like one you would find in the genie world of Zahramay Falls. 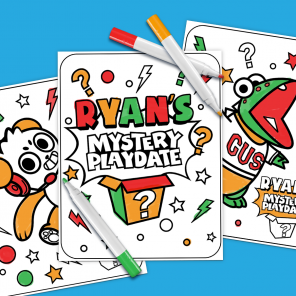 You and your child can make this fun craft together with a few simple items. To finish it off, fill it with a favorite photo of your child. It will feel as if Genie Bay has been brought to life in your home! Step One: Pour sand in the bottom of the container. Step Two: Use the paint brush to apply the modge podge to the outside of each seashell. Immediately sprinkle glitter onto the wet glue and shake off the excess glitter. Set aside to dry. Repeat this process until you have enough sparkly seashells to cover the sand. Step Three: Place the seashells on top of the sand. Add a photo of your child to the back of your beach display. Place the lid on the container. Step Four: Use scissors to cut enough sparkly ribbon to wrap around the edge of the container. Either tape or glue it in place.